At Clearwater Travel Plaza, we’re more than just a fuel stop. As one of only three Petro fueling centers in the state of Minnesota, we hope you collect and redeem your hard-earned points with us – especially because everything in our Minnesota Reflection gift shop is available for purchase with Petro UltraOne Points. What are Petro UltraOne Points? Petro UltraOne points are points professional drivers earn, just for fueling up. These points can be redeemed for an assortment of goods, services, and amenities. If you’re new to Petro UltraOne Points, you can find more information here, and you can get setup at our fuel island. The first step is setting up your Petro UltraOne account, something you can do right here in the CTP Fuel Center. Once you’re signed up, you’ll receive a card. By swiping your Petro UltraOne card each time you fuel, you’ll earn points. The points never expire, meaning you can save up for bigger ticket items. You can keep track of your points online at ultraonerewards.com, all you need is your card number and pin number. 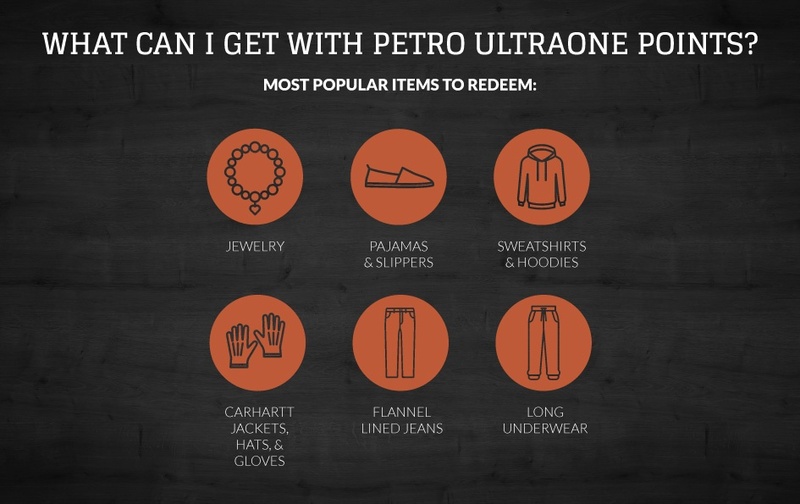 What Can I Get with Petro UltraOne Points? All too often, shopping for gifts means navigating through crowded stores or malls where everything sort of looks the same and it’s impossible to get someone to help. That’s part of the reason why many truckers save their points for holiday gifts and birthday presents. Our location is convenient – you’re already stopping here for fuel, food, or other amenities – our staff is friendly and helpful, and our merchandise is quality. So, stop on in to collect and redeem your Petro UltraOne Points at Clearwater Travel Plaza. Since you’re fueling up anyway, you deserve a little more!